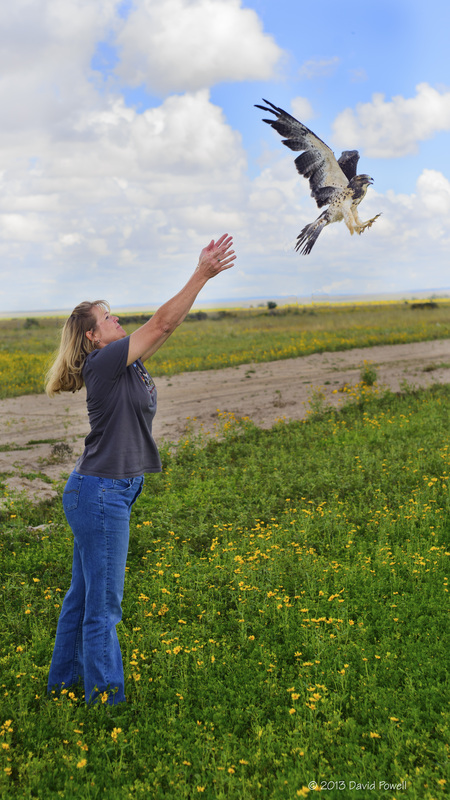 Rescues and Mitigations /Hawks Aloft Inc.
Golden Eagle rescued by staff of Central New Mexico Electric Coop in 2015. Monitored 24 hours a day. As a conservation and education organization, Hawks Aloft directly helps individual birds at all times of year. We receive calls from throughout the state of New Mexico and elsewhere. Our Raptor Rescue team travels throughout the sate to capture and transport injured raptors, corvids and roadrunners to the best available medical facility. Occasionally, even the best planned business operations and construction activities are interrupted by the presence of nests or species of conservation concern. Nearly all bird species in New Mexico are protected by law under the Migratory Bird Treaty Act. 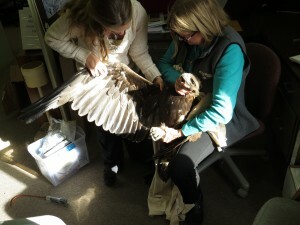 Some species have additional protection under the Bald and Golden Eagle Protection Act, or the Endangered Species Act. Hawks Aloft works in a timely and compassionate manner to meet the needs of corporations and the needs of birds under existing legal guidelines. We are authorized by the U.S. Fish and Wildlife Service to perform avian mitigations necessary to comply with the Migratory Bird Treaty Act. We undertake mitigation activities only where necessary, and conduct a site assessment to make informed recommendations in the best interest of both the birds and our clients. We possess state permits necessary for a variety of actions, enabling us to respond rapidly to your needs. We assist companies in obtaining the federal permits required for every mitigation. We understand the legal requirements for mitigation activities, ensuring full compliance with state and federal laws. We provide an efficient and cost-effective service, and guide organizations through the mitigation process, providing consultation where required. Mining Operations – We are trained in performing high-wall, technical rescues, and nest removals. Electric Utilities – We perform nest removal and mitigations from substations and utility structures. 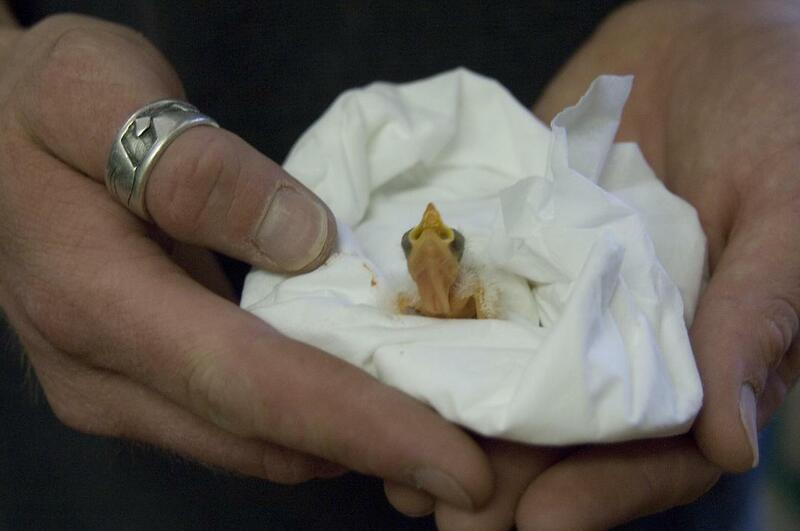 We also care for and transport birds injured by utility structures. Construction Firms – We are experienced in conducting surveys for Burrowing Owls and other ground-dwelling birds. We will relocate nests if necessary, and offer consultation to determine the best course of action. Contact the Hawks Aloft office at (505) 828-9455 for more information on mitigation services.